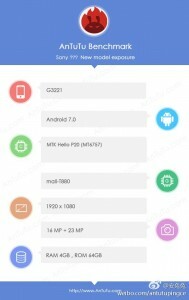 User agent profiles showed that Sony’s upcoming G3221 will sport a Helio P20 chipset and now an AnTuTu screenshot offers some additional details. The chipset will be paired with a hearty 4GB of RAM and 64GB storage and will run Android 7.0 Nougat at launch. The Sony G3221 also sports a 23MP main camera and a 16MP selfie cam, plus a 1080p screen. 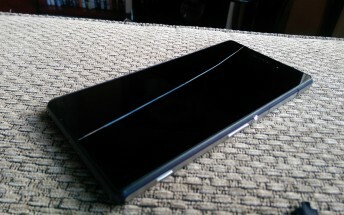 The Xperia M5, which launched in mid-2015 had similar specs (except it was powered by a Helio X10), perhaps we’re looking at a successor.